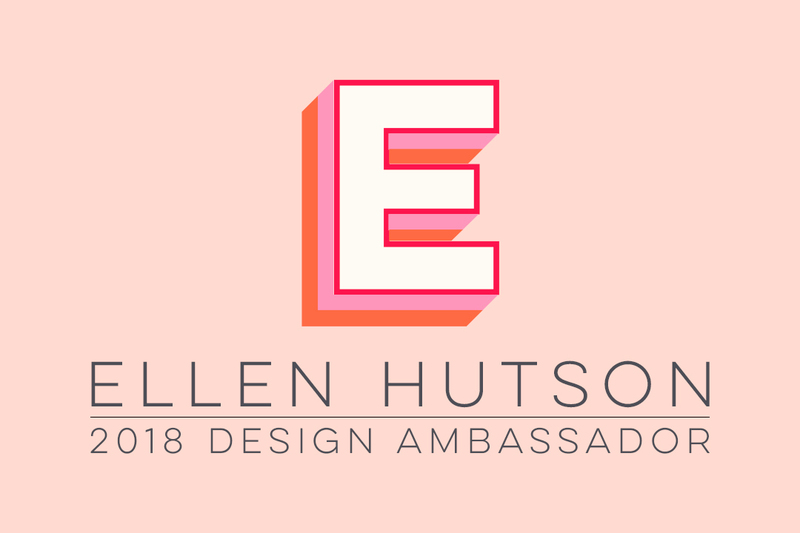 Notable Nest: First Ever Motion Crafts Blog Hop! 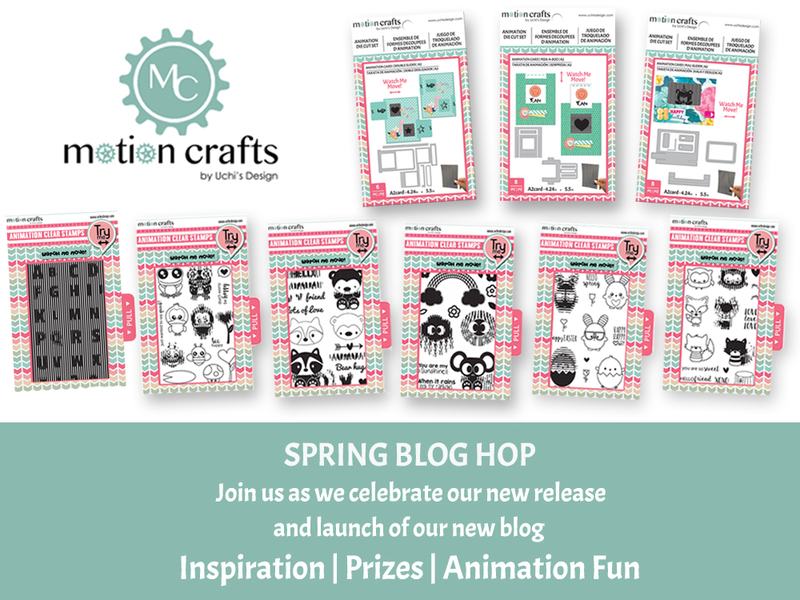 First Ever Motion Crafts Blog Hop! Hi Folks! 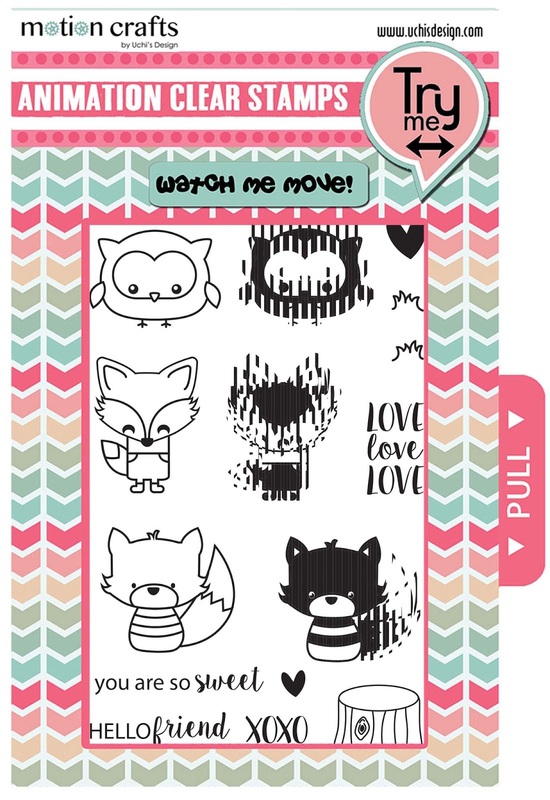 I first saw Motion Crafts at Creativation last year, and had the best time hanging out in their booth trying every single stamp/grid combination to see what kind of magic was at work in getting these images to be animated. Now they are bigger and better than ever with die sets to make your own slider cards, fun new stamps, and an animation die grid so you can make whatever color grid you need (as an alternative to the included black grids). 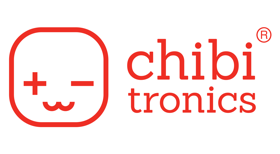 You can also find some of their products at Michael's, but many of the products we're featuring today are exclusively available on the Uchi's Design web site. 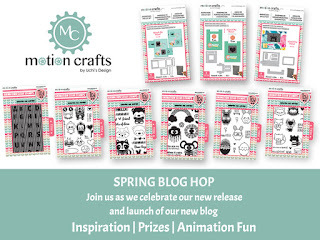 You may have come from Martine Rijnbeek's blog, but if not feel free to start from the beginning at the Motion Crafts blog. My card uses the Animation Card Pull Slider die set, the Animation Grid Die and the adorable Fox and Friends animated stamp set. Before going on with the instructions and details, I must show you what this does!! Here are all the pieces I used to make the card. Once you put the first one together, it all makes sense. There are a lot of good instructional videos on the Motion Crafts Youtube channel that are very helpful. This die that I'm wrapping around the grid holder is the mechanics for the slider component to the card. The lines are pre-scored so you just fold them around the two tabs on either side of the grid holder. 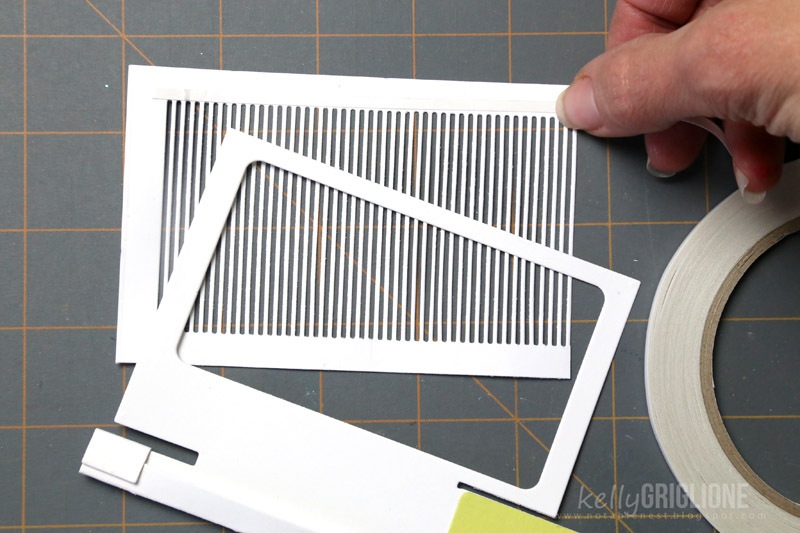 Because there are a few places that are tight to work with, Motion Crafts carries a Skinny Double Sided Tape (1/8") to help adhere the pieces. 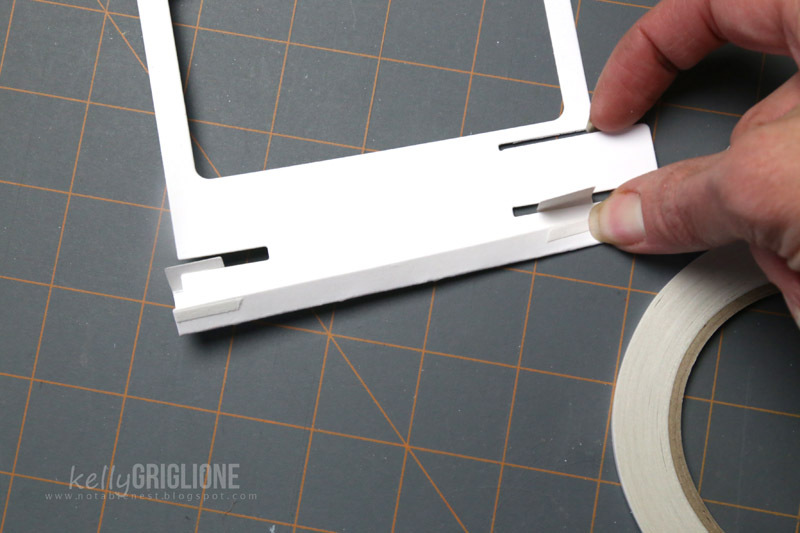 Now it's time to adhere the die cut grid to the back of the grid holder, again using the skinny tape. I also adhered the lime pull tab for the slider that's going off the bottom of the photo. Finally, line up and adhere the grid holder on top of your animated image. It's important that the grid lines are straight over the animated image to make sure he moves well. There is a flat edge on all the animated image stamps to help you make sure you're stamping it straight to begin with. Then guide the slider through the slit on the front of the card, and adhere it all behind the window on your card. Here's a side view of the mechanics adhered behind the window. I ended up using a thin foam tape to make sure everything slides easily. The mechanics are so solid and smooth though, which makes it even more fun to play with. In addition to the (3) $50 gift certificates that Motion Crafts is giving away, they have generously provided us with a prize package of our own ($35 value!!) Please head over to my Instagram account (link on the side bar) where I will be giving my package away. I have the grid die but I have not tried it in white yet. Kelly this little scene you created brings the little owls to life! I love this! Love your project! I am the next stop and am hopping around getting inspired. Can you correct the spelling on my name to Karen Hasheck? (first list from Motion Crafts had it spelled wrong.) Thanks! I like how the clouds move when you pull the tab also. Great idea. Such a fun card! These look so fun to create! I'd love to receive a card like this in my mailbox... what a treat! These are so unique! Thanks for the chance to win! Your card is just too cute! Thank you so much for sharing with us and for the chance to win. Love your card. So cute and the animation is so fun! I especially like the white slider grid, it is distracting. Wow! So, so cool! Love that you can cut your own stripey things too! May have to invest so I have the coolest cards on the block! Love the tag and clouds attached to the sliding window! Such a cute card i love them all so far they are adorable! Love this adorable card and the colors really make it “pop”! Thank you for sharing! Truly adorable!! Love your cloudy background & excellent instructions on how to put it all together! Wow, oh wow! 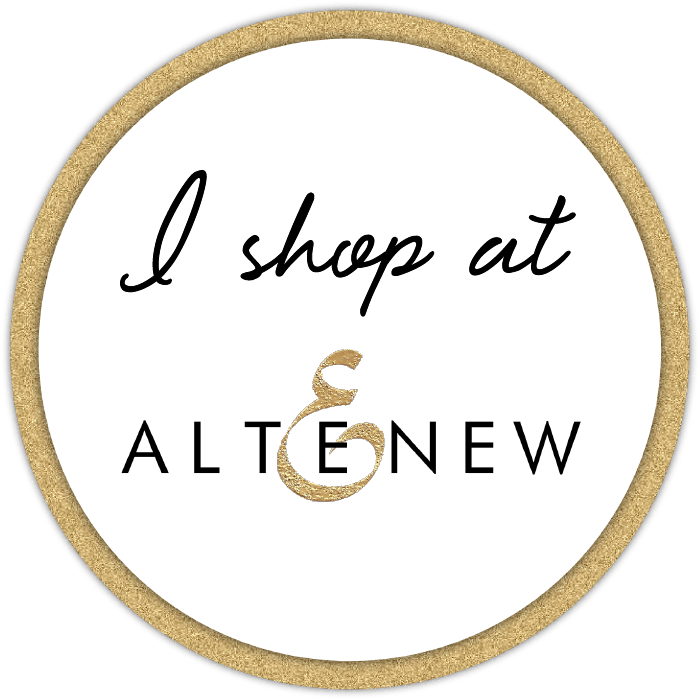 I don't know when I have ever been so excited to jump into a blog hop! You see...I just bought one of the stamps yesterday, but need to have 2 cards made soon and I really want the dies! These are just so amazingly cool, and will surely make a big hit with my grandgirls. Thank you so much for demonstrating exactly how much fun they are! Great stamping innovation, congratulations MotionCrafts, great cards! I just bought my first stamps this week. My granddaughter said playing with the cards is addicting. Such a cute and fun card. It just makes you smile. Thanks so much for sharing. Such a fun card. I love these new designs! Super cute! I love the adorable owls! You did a great job. Loving all these cool animated stamps. Thanks for sharing with us. So awesome! I love how you added the clouds and banner to the grid for even more "motion"! This card is so cute. My son said it is cool it is nice and you did a great job. I love your card. This is so cute and you've totally inspired me to try out the ones I purchased months ago but was then a bit scared I would muck it up!! So cute! Great design !!! Just love it! All those clouds and owls. So so very cute! How sweet! Super cute card Kelly! Love the owls and those clouds on the front. Great design and fantastic interactive element! So creative how you added the clouds and sentiment to the grid, so it moves along too! 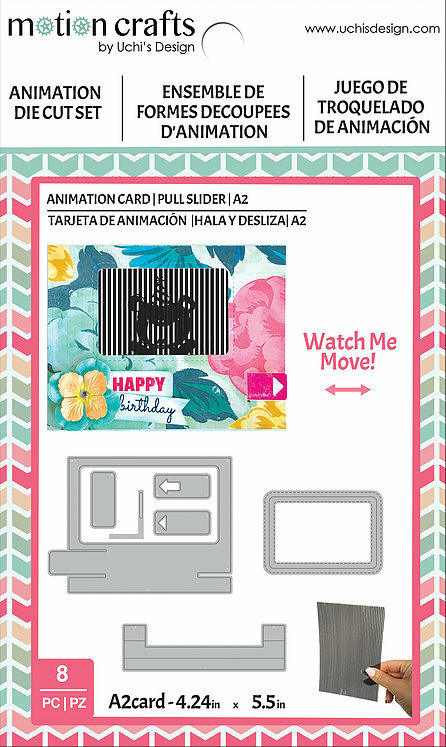 So much fun, for us card makers and those who will receive these motion slider cards! Adorable! That is such a fun card you made. I am sure it would be a hit for any age too! Congratulations, beautiful animated card. Regards! i love the owl, so cute!! thanks for sharing!! Oh I love owls! So stinkin cute! TFS and inspiring! We did my baby room in owls so these little ones have a soft spot in my momma heart. I love how your card is so dreamy and cute. AMAZING Inspiration!! I LOVE LOVE LOVE your Card!! Such SWEET New Interactive Products too!! THANKS SO MUCH for sharing and have a FABULOUS WEEK!! Your card is so cute and sweet! You did such a very nice job and enjoy that you made the clouds move! This product is great thanks for sharing! Super cute! Love how the clouds add that extra touch of movement on the card! Very cute with all of the owls and the animation. Adorable owl and I love the paper. Cute card! Awww!!! I'm totally in love for your adorable card! I love the colors on the animation card. Great job. So stickin adorable!!! Love it!! Thanks for showing us how this mechanism works. What a very adorable card! This is adorable! Love the colors and scene! These are WAY too cute! Thanks for the pic on how to put the slider together! That’s such a fun and adorable card ! Brutus Monroe Surface Ink Road Test!